KUTZ4KIDS INC. IS A SUPERHERO! NONPROFIT ORGANIZATION WITH A MISSION TO SHAPE TOMORROW'S HERO! we invite You to explore our world.. Thank you to our Community Heroes!! 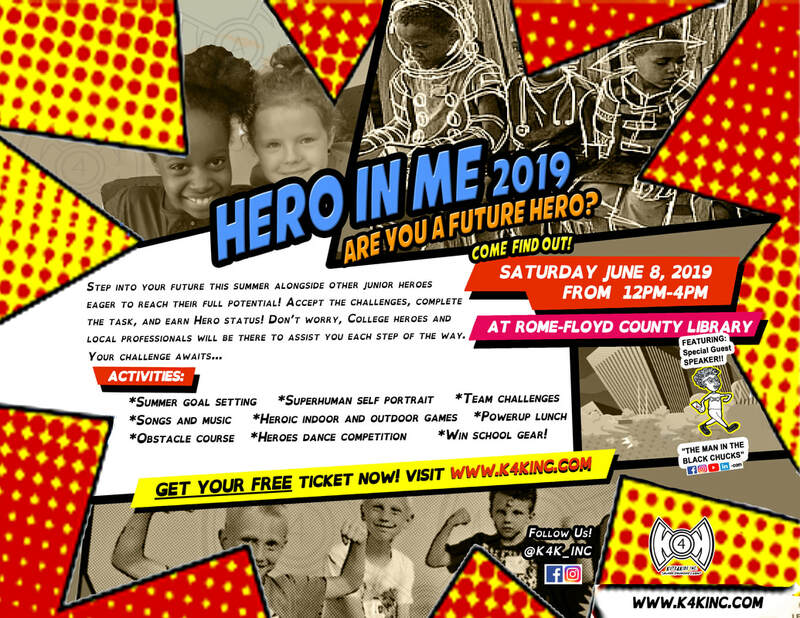 ​"I WANT TO MY CHILD(REN) TO ATTEND THE HERO IN ME PROGRAM." Proud to receive a Grant from Heart of the Community Foundation for our "Hero In Me" program!!! Proud to announce Kutz4Kids Inc.'s Newest Community Hero ...ATLANTA BRAVES!! GO BRAVES! Proud to announce that K4K Inc. has been awarded our 1st Corporate Grant!! We welcome our new Community Heroes The Clorox Company!!! Thank you to our Community Heroes!